New Year’s Eve gig at Nosturi – tickets selling fast! 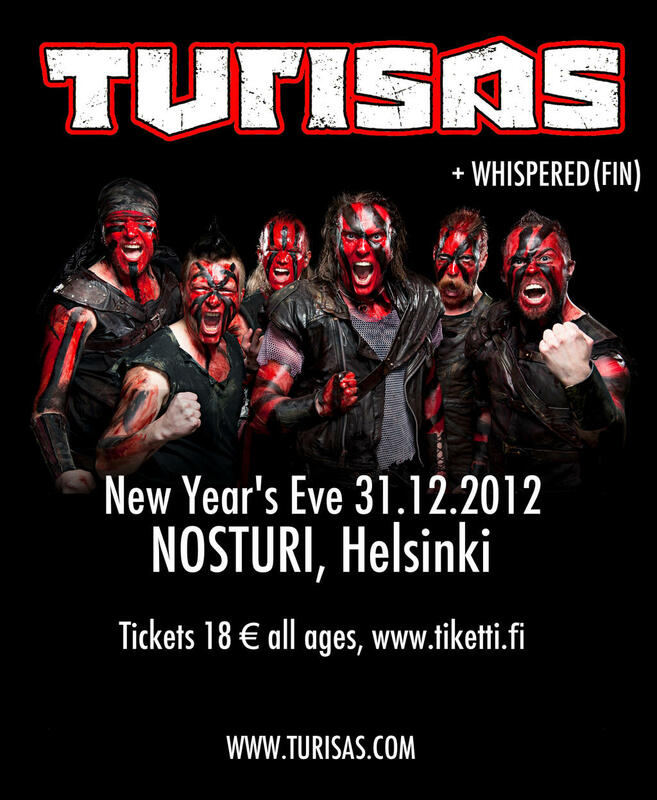 Make sure you get your tix for the New Year’s Eve special show at Nosturi club, Helsinki on 31.12.2012. Let’s go out with a bang! 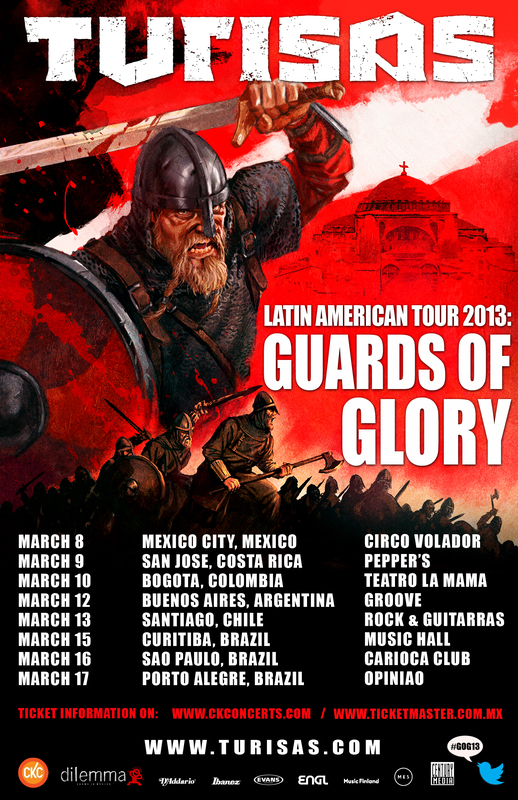 We are happy to announce a third show in Brazil on our upcoming “Guards of Glory” Latin American tour in March 2013. Turisas will be playing at Music Hall in Curitiba on 15 March 2013. There is also a change in the dates: the show in Chile will move to 13 March (a day earlier from the original show date). The tickets already bought are also valid for the new show. Turisas Xmas Merch Sale – hurry up! Go to http://turisas.mamstore.co.uk and make yourself happy!